Adobe Flash Player was updated again to address critical security vulnerabilities. (The last update was just over three weeks ago.) According to Adobe, the vulnerabilities are "priority 2"; critical but not yet exploited. "If you read this September 2011 CSIS report, then you saw that 99.8 percent of malware installs through exploit kits are targeting out-of-date software installations. This point was reiterated recently in volume 11 of the Microsoft Security Intelligent Report. Also, attackers have been taking advantage of users trying to manually search for Flash Player updates by buying ads on search engines pretending to be legitimate Flash Player download sites. Improving the update process is probably the single most important challenge we can tackle for our customers at this time." The newest version for Windows, Macintosh, Linux and Solaris is 11.2.202.228. Android 4.x devices using version 11.1.115.7 are not affected. The update for Android 3.x and earlier versions is 11.1.111.8. It is also recommended that Adobe AIR be updated to Adobe AIR 3.2.0.2070. After a bit of hesitation, Mozilla released Firefox 11 today. As explained in Update on Firefox Release Timing, the update was delay was initially for two reasons. This Tuesday is Microsoft’s scheduled monthly update to Windows, and those updates have interacted badly with our updates before. We don’t have reason to expect specific problems with this month’s updates, but we’d rather take a day or two to understand the impact before we update all of our users. We’re also waiting for a report from ZDI about a security vulnerability that may affect this new version of Firefox. We expect to receive the report by end of day Monday. Once we can evaluate the vulnerability, we’ll know whether we need to include a fix in Firefox before the update is released. The Release Notes include new and fixed features in version 11. The numerous Bug Fixes are in the link available in References. The upgrade to Firefox 11 will be offered through the browser update mechanism after any impacts related to the Microsoft Security Updates are analyzed. To get the update now, select "Help" from the Firefox menu at the upper left of the browser window, then pick "About Firefox." Mac users need to select "About Firefox" from the Firefox menu. Microsoft released six (6) bulletins, of which one bulletin is identified as Critical, four (4) as Important and the remaining bulletin as Moderate. one Critical-class, four Important and one Moderate. 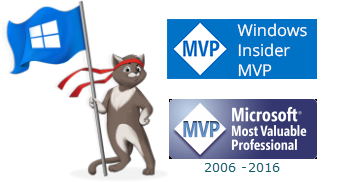 The bulletins address seven issues in Microsoft Windows, Visual Studio, and Expression Design. Most updates will require a restart to complete the installation. On Tuesday, March 13, 2012, Microsoft is planning to release six (6) bulletins, of which one bulletin is identified as Critical, four as Important and one as Moderate. The bulletins address seven vulnerabilities in Microsoft Windows, Microsoft Visual Studio and Microsoft Expression Design. Most updates will require a restart to complete the installation. Adobe Flash Player was updated yet again to address critical security vulnerabilities. (The last update was less than three weeks ago.) According to Adobe, the vulnerabilities are "priority 2"; critical but not yet exploited. The newest version for Windows, Macintosh, Linux and Solaris is 11.1.102.63. The update for Android 4.x devices is 11.1.115.7 and the update for Android 3.x and earlier versions is 11.1.111.7. The next version of the Microsoft operating system, Windows 8, has reached what is called "Consumer Preview". Although defined by Microsoft as pre-release software, the Consumer Preview could also be referred to as a high end beta, with the next installment being RTM (Release to Manufacturing). Although Windows 8 Consumer Preview is a solid operating system, it is not advisable to install beta software on a production computer. In other words, if you do not have a spare computer or a partition to dual-boot Windows 8, I strongly advise that you wait until after the final release, create a separate partition (see Create and format a hard disk partition) or test the operating system in a virtual machine. Rather than replicating the excellent documents already created by experienced and respected bloggers and web sites, I have collected a series of articles and tutorials that will guide your testing of Windows 8 Consumer Preview. Although Microsoft has stated that Windows 8 Consumer Preview works on the same hardware that powers Windows 7, below are the recommended system requirements for running Windows 8 Consumer Preview. To use touch, a tablet or a monitor that supports multitouch is needed. To access the Windows Store and to download and run apps, you need an active Internet connection plus a screen resolution of at least 1024 x 768. If you have a netbook or other computer running Windows 7 that isn't capable of a screen resolution at the levels indicated above, as illustrated by Barb Bowman in Windows 8 Consumer Preview Installed on Eee PC Netbook, you can still run Windows 8! You may also want to read Paul Thurrott's articles, Some Thoughts About the Windows 8 System Recommendations and The Netbook Experience. For compatibility concerns, check the Windows 8 Consumer Preview Compatibility Center to find out whether your favorite applications and devices are compatible with Windows 8. Links on the results page will direct to product Updates, Drivers, and Downloads. Now that you are ready to install Windows 8 Consumer Preview, it is time to select the best method for how you will be testing the operating system. Windows 8 Consumer Preview Setup will check to see if your PC can run Windows 8 Consumer Preview and will select the right download. Also included in Setup is a compatibility report and upgrade assistance. Built-in tools for creating an ISO or bootable flash drive are available for some previous versions of Windows (excluding Windows XP and earlier). It seems that there is always more than one way to accomplish a task with Microsoft software. That is the case with installing Windows 8 Customer Preview as well. Unless you are very experienced, I recommend using the web installer to create a a bootable Windows 8 DVD using the .ISO file or bootable thumb drive or installing in a virtual machine. Navigating Windows 8 will require an adjustment. Take time to read about the new Metro style and learn about the new terminology, such as tiles and charms as well as touch terminology, including swipe and slide. For an overview, see Windows 8 Features and Terminology. A more complete resource is The Windows 8 Glossary, used for creating translations. Filtering by "locked" results in a set of definitions locked by Microsoft. Metro Style is the name given to the Windows 8 user interface. 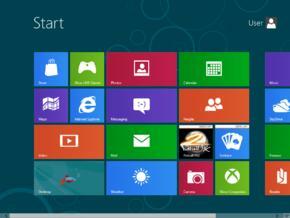 It is the new start screen, made up of tiles that represent applications, replacing the Start menu. It is the first screen shown on start up. Metro is optimized for touchscreens as well as mice and keyboards. Derick Campbell (Microsoft Research) has an excellent tutorial on navigating Windows 8. Dude, Where’s My Windows 8 Start Menu? will go a long way to clearing up your confusion with Metro. After you have become more comfortable with Windows 8, you will want to locate more advanced functions, such as the control panel, task manager, device manager and other system management tools. Ed Bott's article will help you locate Shortcuts and surprises in the Windows 8 Consumer Preview. Whether you have a touch screen or use a keyboard or mouse, navigating Windows 8 will be a change from what you are accustomed to. A comprehensive list of keyboard shortcuts is included in the ars technica article, Old dogs, get ready for new tricks: how to use the Windows 8 Consumer Preview. Derick Campbell created an online Word Document which includes a comprehensive list of keyboard shortcuts with the corresponding touch and mouse actions. Consider downloading the file and annotating it with your own notes: Win8 Shortcuts. Microsoft Security Essentials has been renamed Windows Defender for Windows 8. Windows Defender is included in the install of Windows 8 Consumer Preview and enabled by default. If you prefer to use a different antivirus solution, check the entries in the Compatibility Center. You may find that your favorite program is not listed yet as compatible, yet, as in the case of ESET Smart Security, 15 out of 16 people reported it compatible with Windows 8. There are times when things just do not go right. In the case of Windows 8 Customer Preview, please keep in mind that Windows 8 Consumer Preview is pre-release software. What can you do if disaster strikes and your Windows 8 installation is totally messed up? Windows 8 has a new service that returns your PC to its factory clean state by wiping it out and reinstalling Windows. Reset removes all personal data, apps, and settings and completes a fresh install of Windows 8. With the Refresh option, you keep all personal data, Metro style apps, and important settings from the PC, as well as a clean copy of Windows 8. Reset and refresh are accessible through the "PC Settings" app.